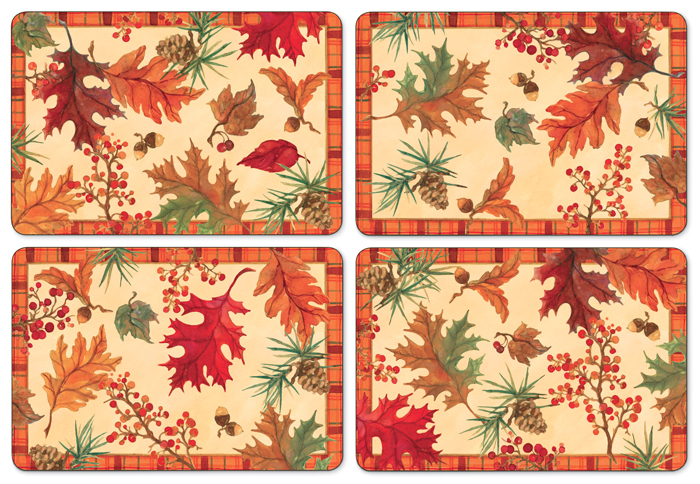 Designed by Sally Eckman Roberts, the placemats feature four different leaves designs, while the coasters feature six designs. Handcrafted with a tough lacquer finish that is heat-resistant up to 225°F and backed by cork, each set comes in a gift box. Formerly $65, now 30% off. Discount may not be applied to prior purchases.